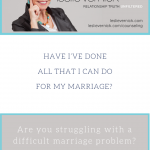 Have I’ve Done All That I Can Do Or Has My Marriage Died? 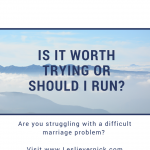 Is It Worth Trying Or Should I Run? My Husband Is Lazy And Irresponsible. 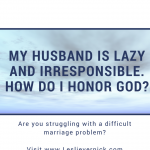 How Do I Honor God?